Takeaway: Boost the performance of your garden with the latest products available for modern growers. This time we are featuring hydroponic supplies, grow lighting, and organic stimulants from Tidal Vision, Grower's Choice, Active Aqua, SuperCloset, Current Culture, Reiziger, and Dramm. These products are all #GoodtoGrow. 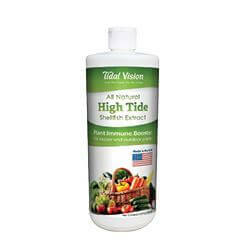 High Tide from Tidal Vision contains all natural shellfish extract which enhances your plants’ growth and hardiness when used as an adjuvant by stimulating your plant’s immune system. The shells of Alaska snow crab contain the exact same structural compound that’s found in the exoskeletons of insects. When these compounds come into contact with your plants via roots or foliage, they elicit an immune response in your plants, helping them to be hardier, and thrive even when bouncing back from stressors such as transplant, temperature or drought shock. High Tide works by triggering your plant’s natural immune response which increases your plant’s yield, sap, resin, or juice production, and increases the hardiness of your plants. Basically, it tricks your plants into believing they are being infested with pests and elicits your plant's natural immune response. High Tide is good for indoor and outdoor applications on ornamentals, fruits, vegetables, trees, and turf, and can be applied to foliage, soil, or hydroponic reservoirs. It is 100 per cent safe, non-toxic, and all-natural. Due to increasing demand, SuperCloset Bubble Flow Bucket Systems, as well as other SuperCloset products, are expanding into garden centers and shops nationwide. SuperCloset Bubble Flow Bucket Systems utilize the Superponic method, which is the fusion of proven hydroponic methods including deep water culture, aeroponics, and top feed combined in a single system, recirculating hyper-oxygenated water through the ebb and flow upwelling feature, thus eliminating perilous micro-environments. With products designed for all skill levels from beginner to professional, a three-year warranty, lifetime customer, technical, and grow support, and countless awards, it’s a no-brainer that the full product line has expanded into stores nationwide. The perfect starting point for magnificent gardens, Reiziger Expanded Clay provides excellent root support and drainage, as well as vigorous root growth. It helps hydroponic craftsmen grow big healthy plants, fruits, and vegetables. 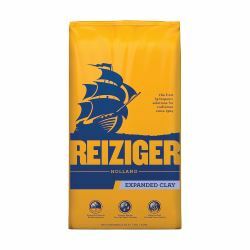 Reiziger Expanded Clay is inert, pH neutral, and does not contain any nutrient value. Ideal for recirculating hydroponic systems, Reiziger Expanded Clay’s smart Aqualock formula helps absorb more water and protects against over- and under-watering. Reiziger guarantees the expanded clay substrate meets the highest chemical and physical standards and is free from weeds and pathogenic organisms for that next echelon in size, yield, and taste. Growers can be confident that many skilled Dutch craftsmen have used Reiziger growing media for years. 315-watt agro lamps are becoming increasingly popular in the growroom, and growers are constantly looking for ways to improve the quality of their crops. The addition of 10K UV light towards the end of the bloom cycle increases resin production in flowering plants as a defense mechanism in response to the ultraviolet light. Traditionally, growers who used 315W agro lamps and wanted to reap the benefits of the 10K spectrum needed to bring in additional fixtures to get the job done. 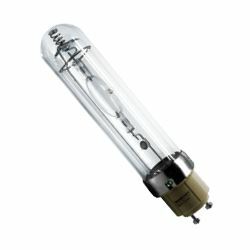 Now, you can simply switch the bulb; Grower’s Choice makes it with its 315W 10K finishing lamp, designed specifically for flowering plants. 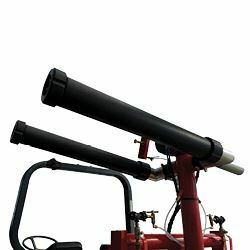 Dramm now offers an optional nozzle extension for its line of TracFog PTO-driven fog systems. These nozzle extensions extend the nozzle outlet so that the fogger can easily treat individual Quonset greenhouses from the doorway just by driving alongside. The nozzle extensions thread onto the standard outlets on the TracFog and can be easily swapped in a matter of minutes. Many greenhouse businesses have a combination of gutter-connected and individual houses. The nozzle extensions allow the unit to be utilized to treat both types of greenhouse easily and quickly. The TracFog is available in two different sizes for different sized greenhouses. The 25-gallon unit can treat 500,000 square feet with one tank and the 100-gallon unit can treat 2,000,000. The TracFOG allows growers to rapidly treat large areas, reducing the amount of labor and improving efficiency and efficacy of sprays. Attention hydro store owners: Increase the visibility and sales of Current Culture H₂O products with our new line of retail displays. Bring their proven production system to your store with a Cultured Solutions nutrient display rack or Under Current demo display. These striking retail displays feature fast assembly time and are made in the USA with the highest grade heavy-duty, powder-coated steel. Designed with the retailer in mind, their racks take precise inventory, make stocking a breeze, and allow for efficient use of retail space and marketing of the complete CCH₂O product line. 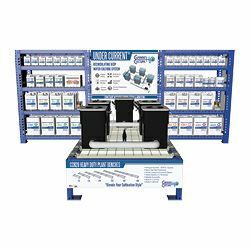 Choose from multiple retail display packages that include an Under Current demo display and a four-foot or eight-foot Cultured Solutions nutrient rack. All packages include marketing material and swag. Free retail displays and deep discounts are available with select stocking purchases. 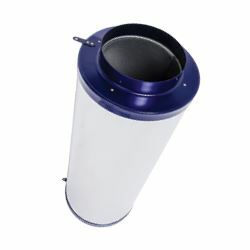 For effectively removing odors, dust, and particulates from indoor environments, the new inline carbon filter from Hydrofarm’s Active Air brand features dual direction airflow ability. It also features a two-stage filtration design: the air passes through two interior carbon filters before exiting, for superior filtration. 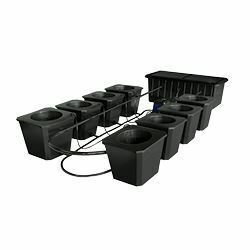 A Hydrofarm exclusive, it allows remote filter placement for saving valuable grow room space and is easy to install and use. Available in six-inch and eight-inch sizes.